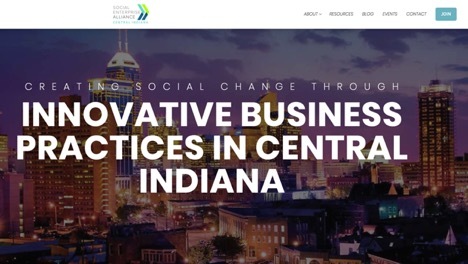 The Social Enterprise Alliance was interested in founding a local chapter in the Central Indiana region. It needed to attract and engage social enterprises, non-profits, social impact investors and others within the ecosystem that is necessary to grow social businesses. Effective communication and promotion were vital to the success of the chapter and its members. GmG drove the creation of a new website, developed social media channels and content, promoted events and worked with social entrepreneurs. The result is the momentum for a vibrant, growing social impact business culture in central Indiana. The Central Indiana chapter took off immediately and has gained consdierable momentum. SEA now has the ability to effectively cultivate the social enterprise community in this area and spur additional growth throughout the region.